If you're like me, Captain America: Civil War contained a lot of things you didn't expect. A recreation of young RDJ, Vision cooking, and hints of a Pepperony break up... but also, the completely badass introduction of Black Panther, aka T'Challa. I mean, I knew Black Panther would be awesome, but I didn't expect him to be that awesome or for him to completely steal my heart away. With his menacing-looking supersuit and his sharpened metal claws, the thing I expected least was for T'Challa to be so pure. I mean, seriously. If you need a good definition of "Cinnamon Roll," just look at T'Challa. T'Challa went through so much in this film. Not only did his dad die in his arms, but he also became a king. It would be far too easy for him to run away or to be grumpy about it, but instead, he takes on the role with grace. He aims to be noble. He always tries to do the right thing. In the end, T'Challa is a cinnamon roll not because he was perfect but because he was good. Though T'Challa made plenty of mistakes, ultimately he regretted them, apologized for them, and did the best he could to make amends. 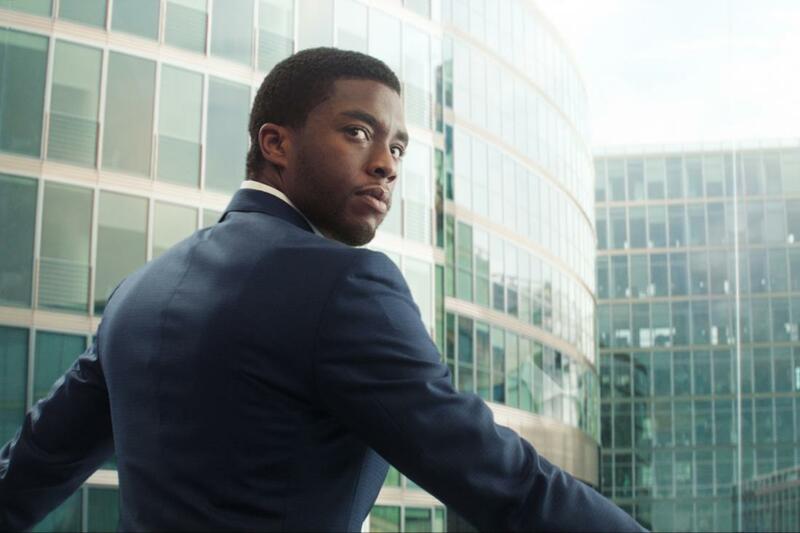 Instead of continuing down his path of revenge, T'Challa acknowledged he was wrong and then promised to do better. "Vengeance has consumed you. It's consuming them. I'm done letting it consume me." One of my favorite things about T'Challa is that his very nature seems to be a contradiction--not only is he totally terrifying, but he's totally good too. His dedication to nobility, virtue, and pursuing the right path never once compromises his badassness. As both a lover and a fighter, T'Challa is the male character I've been looking for. In summary, T'Challa is an honest-to-goodness hero. I'm looking forward to seeing him continue to be pure(ly badass) in his titular movie, Black Panther, releasing in just a little over two years. (No! I don't want to wait that long.) Until then, I'll continue to stand on my belief that T'Challa is one of the best Marvel characters. Not only that, but I'll shout it from the rooftops. Where did I put my megaphone? 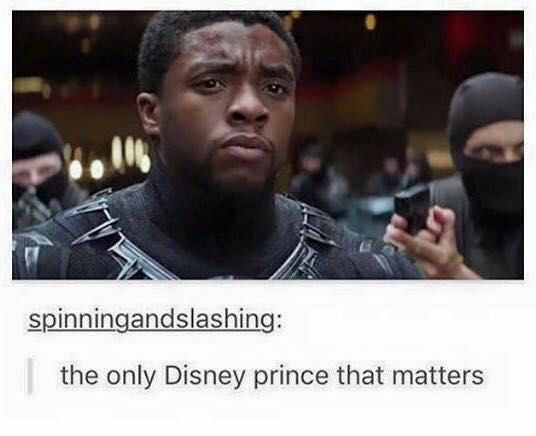 T'CHALLA IS A HERO. WHAT A CINNAMON ROLL. TOO PURE. 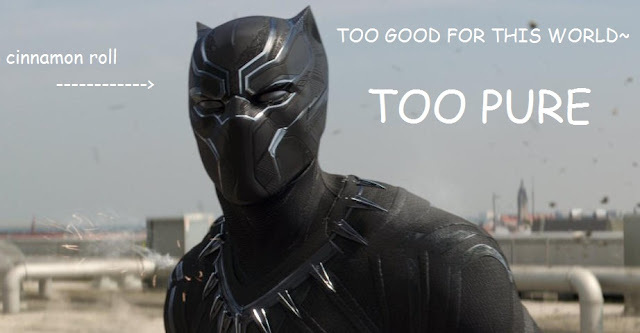 Why do you like T'Challa?